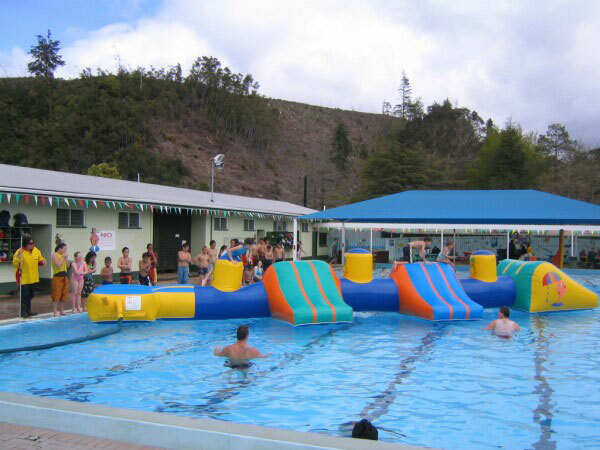 Kawerau’s free, heated pool complex is situated in the middle of the township opposite the Information Centre. 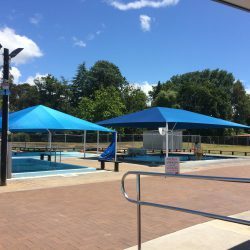 There is a large 30 metre pool which is divided by a bulkhead into a 25 metre pool and a 5 metre pool, and two smaller pools for children. 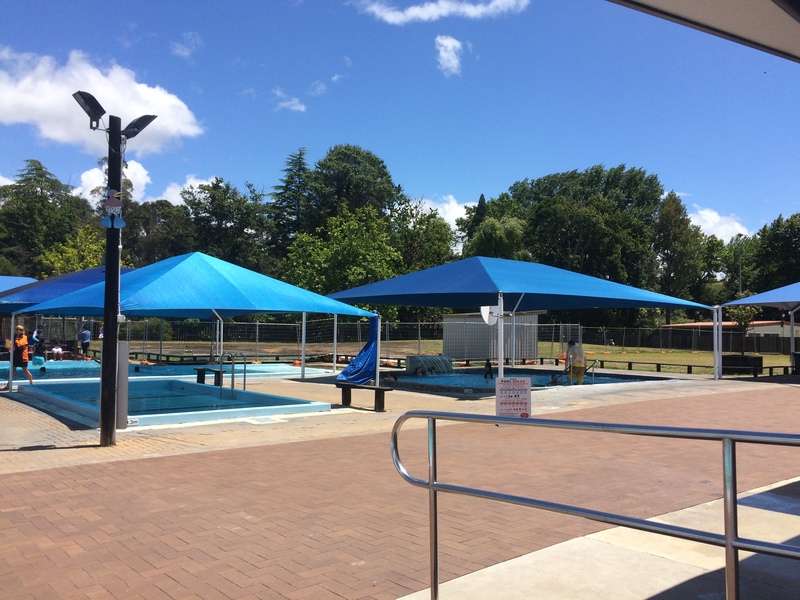 All pools have some sun shading. 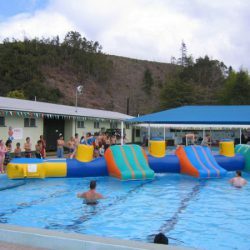 The temperature of these pools varies during the year. 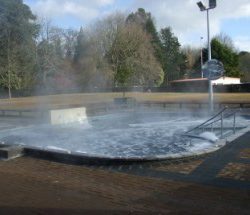 During the winter season, which usually starts at the end of the first school term and finishes at the end of the third school term, the temperature ranges between 32 and 38 degrees Celsius – ideal for relaxing although not recommended for active swimming. Depending on climatic conditions the pools temperature during the summer ranges from 28 to 31 degrees Celsius. A sizable spa pool is the latest addition to the complex. Measuring 8m x 10m with a depth of 1.1m, this pool is designed for relaxation. 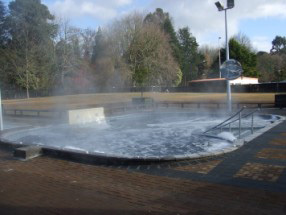 The spa, entered via steps with supporting handrails, has seats and controllable water jets around the perimeter and a waterfall which cascades onto shoulders for maximum relief for aching muscles. A hoist is available to enable the disabled or frail to also enjoy the water. Temperatures range from 37 to 40 degrees during the winter months with summer temperatures adjusted as required. Map showing location of Maurie Kjar Memorial Swimming Pool Complex . Use the controls on the map to zoom in and out.